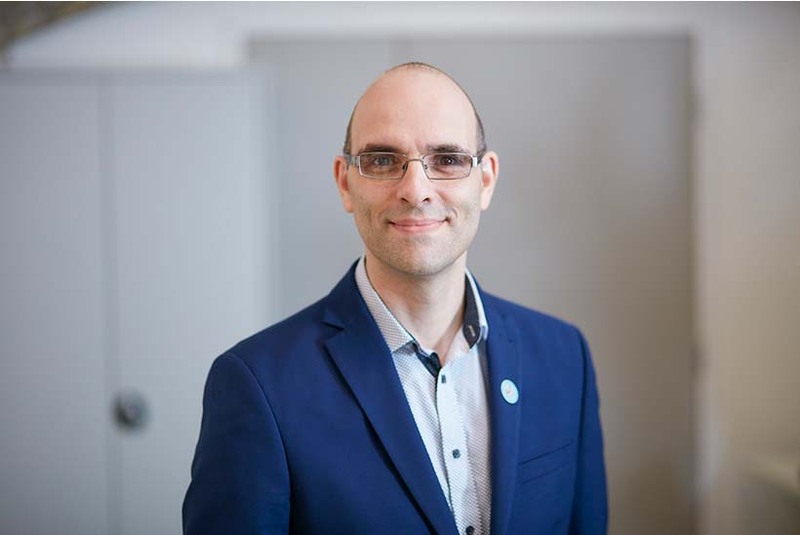 Biagio Borromeo, director of engagement, tells us about the charity's new integrated engagement approach and what makes Independent Age a rewarding place to work for marketing and communications professionals. Could you help raise the profile of Independent Age and transform the lives of older people? Independent Age needs your marketing and communications expertise. As part of Wonderful Workplaces, we spoke to Biagio Borromeo, director of engagement at Independent Age, to get a flavour of the working culture, the charity’s new strategy and what kind of people make a great fit. Our opportunity at Independent Age is significant. You’ll find it a challenge to open a newspaper, turn on the radio, switch on the TV or surf the web without coming across a story about the issues that impact on the day-to-day lives of older people and those who are important to them. After all, we are all ageing. It is the most universal cause you could work on. We are already punching above our weight and are incredibly proud of the successes we have achieved so far. We’ve established ourselves as a charity that provides impact at scale for older people. In 2017 alone, we supported over 1 million people – that’s more than five times our reach in 2014. What is Independent Age's new ‘integrated engagement’ approach? We are now at a tipping point where we can take our learning to date, begin to unlock our resources, increase our public profile and significantly grow our voluntary income. In order to capitalise on this opportunity, our plan is to significantly increase the number of people who get and give support through Independent Age, ensuring that we build meaningful engagement with our key audiences and inspire them to connect with us in many ways. This new ‘integrated engagement’ approach means that when our service interactions grow, our income grows, our brand builds, our influence develops and vice versa. Ultimately, this will enable us to deliver greater impact for older people. Why are you expanding your teams now? In order to seize this opportunity, to capitalise on our universal, urgent and growing cause, and to help us turn this vision into a reality, we need to expand our talent pool. And that’s why we’ve taken the bold step of bringing together the key functions which drive the public to Independent Age – marketing, communications and fundraising – and creating a new engagement division, led by a new engagement management team. Our new engagement division covers seven specialist departments including brand & marketing, digital, media & PR, customer insight & strategy and the full range of fundraising functions – individual giving & legacies, events fundraising and partnerships & philanthropic giving. Having recruited the large part of our new engagement management team, we have now begun the next exciting phase of our expansion plans and are now recruiting for a number of roles within each of these new departments. You can find further details on Campaign Jobs. We will be creating brand new strategies, programmes and activities across fundraising, marketing and communications, to significantly grow our public profile, our customer base (whether getting or giving support) and our voluntary income. Why is it an exciting time to join? This is an incredibly exciting time to join us at Independent Age. It is unlikely that there will be similar opportunities within our sector to be part of a brand new high-calibre division, responsible for shaping and driving the public growth of a charity with such a universal cause. We have gained outstanding momentum for positive transformational change, supported by the ambitions of our board of trustees, to build on our successes to date and significantly increase the impact Independent Age makes to the lives of older people, their families and friends. This is a great opportunity for talented individuals to harness their expert marketing and communications skills, in an organisation undergoing tremendous growth, working to a universal, urgent and growing cause, and with the resources to truly unlock its potential. For the right individuals, these roles will be a perfect fit. If you are inspired by the opportunity to build brand new strategies and operations, as part of a brand new team, and love the challenge of creating, developing and implementing new activities that drive significant public and customer growth, then I would strongly encourage you to explore the new roles that we are currently advertising. If you feel you have the energy, drive, ambition and resilience to be part of our bold plans and can bring a strong track record of growth, we would love to hear from you. What makes Independent Age a wonderful place to work? I have worked in the not-for-profit sector for 20 years and can honestly say that Independent Age is one of the most refreshing and unique organisations I have ever worked in. The untapped potential and ambition we have to genuinely make a positive difference at scale, our successes to date, and the collective spirit of positive endeavour are what inspired me to join this wonderful and rapidly growing organisation. You’ll find us to be a warm, open and agile organisation, focused on growth and delivering increased impact for older people. It’s that simple. Above all, working at Independent Age can offer a genuine opportunity to personally make direct social impact at a critical point in your career. After all, isn’t that what we all hope to achieve? This article was originally published on Third Sector Jobs.